There are five stages of loss and grief: Denial, anger, bargaining, depression and, finally, acceptance. As we discussed before, in a divorce, many people can feel emotions of loss and grief. The first stage, denial, can begin during the marriage. It is often a first response to being told your spouse wants a divorce when you tell yourself, “This can’t be really happening to me,” “He/She isn’t really serious, he/she won’t really go through with it.” These are both typical denial stage thoughts. 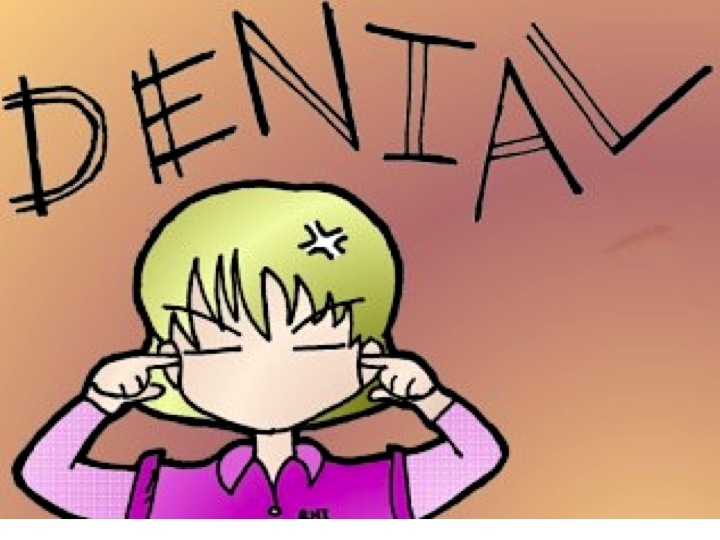 Denial can serve a useful psychological purpose in the early stages of loss. It can allow the grieving spouse time to grasp and process what’s happening without being overcome by overwhelming emotions. It can be a way to avoid facing the facts of the situation in order to deal with the initial rush of pain when confronted with the loss, or threat of loss, of your marriage. At the same time, some individuals can stay in the denial stage so long that it becomes a detriment to their divorce process. Ongoing denial can cause such persons to essentially stick their head in the sand and refuse to deal with the realities of their new marital situation. They may wait too long to retain an attorney and then ask that attorney to “save” their marriage, which, isn’t really a reality. If a person stays in this stage too long, they may fail to provide requested documents and fail to respond to their attorney’s emails or phone calls. And, of course, what’s going to happen then? It isn’t going to be the most ideal situation for either spouse. If you or someone you know is stuck in this phase, do what you can. Individuals can sometimes even benefit from referral to a mental health professional.